CHICAGO  Windy City Times, ranked as part of citywide news websites by Community Media Workshop in their 2012 survey, placed No. 13 in a category that included mainstream newspaper, television and radio websites. The report also divided media into various categories such as neighborhood, specialty, aggregators and arts and culture, but Windy City Times was treated as a citywide website. The report, The NEW News 2012, released by the Community Media Workshop, analyzed 31 citywide sites. Chicago Tribune landed the coveted No. 1 spot. 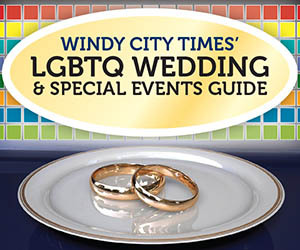 Windy City Times, online at www.windycitymediagroup.com, was the only LGBT website to be ranked in the survey. The gay site FeastofFun.com received an honorable mention. 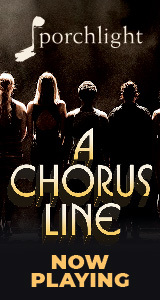 See www.chicagonewnews.org for the complete list of ranked online news sites. With the decline of traditional daily newspapers and the emergence of more online news sites and blogs, The NEW News 2012 finds that Chicago's online news ecosystem continues to grow and change since the release of the first NEW News report in 2009. "After studying Chicago's online news ecosystem for four years, The Community Media Workshop can say with certaintynothing is certain in the realm of online news," said CMW President Thom Clark. aCHICAGO  Windy City Times, ranked as part of citywide news websites by Community Media Workshop in their 2012 survey, placed No. 13 in a category that included mainstream newspaper, television and radio websites. The report also divided media into various categories such as neighborhood, specialty, aggregators and arts and culture, but Windy City Times was treated as a citywide website. To get to a list of top ranked sites researchers began with a list of 467 sites that primarily served the City of Chicago (as opposed to a suburban audience), which was then reduced to 191 sites based on how often sites published new content. The complete report ranks a total of 51 online news sites in four other categories: Specialty News, Neighborhood News, Arts, Culture and Entertainment and Aggregators. Sites were assigned a category and scored using the following quantitative measures: Google RSS readers, Compte.com estimates, social media fans, Google page rank and Alexa traffic rank. Reviewers then dug in to the top scoring sites to assign a qualitative score based on the following: news quality, audience engagement, quality of coverage, diversity in coverage and reporting, and quality of multimedia usage. The NEW News 2012: Ranking Chicago's Online News Scene, funded by The Chicago Community Trust and the John D. and Catherine T. MacArthur Foundation, is the third NEW News report to examine Chicago's online news ecosystem. Released at the 2012 Chicago Community Information Summit at The Chicago Community Trust today, the full report, key findings, rankings and methodology can be viewed and downloaded at www.chicagonewnews.org . About Community Media WorkshopCommunity Media Workshop is a 20-year-old nonprofit whose mission is to diversity the voices in the news and public debates through communications coaching for some 2,000 nonprofit volunteers and staff a year, as well as sourcing and Newstips from nonprofit groups and journalists. Based at Columbia College Chicago, is online at www.communitymediaworkshop.org . CMW did not review or rank any of its own long-standing news sites in the interest of transparency and fairness. The Workshop ranked No. 21 out of 60 sites ranked in The NEW News 2009. Research by Northwestern University found Communitymediaworkshop.org among the top 10 referring websites in the region. About Community Media Workshop Community Media Workshop is a 20-year-old nonprofit whose mission is to diversity the voices in the news and public debates through communications coaching for some 2,000 nonprofit volunteers and staff a year, as well as sourcing and Newstips from nonprofit groups and journalists. Based at Columbia College Chicago, is online at www.communitymediaworkshop.org . CMW did not review or rank any of its own long-standing news sites in the interest of transparency and fairness. The Workshop ranked No. 21 out of 60 sites ranked in The NEW News 2009. Research by Northwestern University found Communitymediaworkshop.org among the top 10 referring websites in the region.